One thing’s for sure, whether you did or didn’t live through the eighties hairstyles and fashion, Towel Dry and a Good Cry, my kindle book, will walk you through the eighties with the main character, Josie Capelli, a new to the business hairdresser, her crazy best friend and her drama filled Italian family. 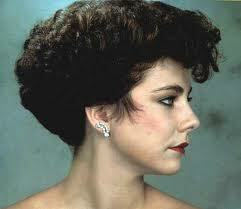 Two driving forces led the way to the hairstyles of the eighties, The Dorothy Hamel haircut and the Farrah. Dorothy Hamel’s haircut, in the mid-seventies, changed the history of hair. Her cut was considered a “blow cut” or precision haircut and back then I didn’t even know what that meant, but I wanted one. The key to making the cut look fuller was blow drying it for volume. So, everyone and their brother bought a blow dryer and sought out going to a salon for a blow-cut. 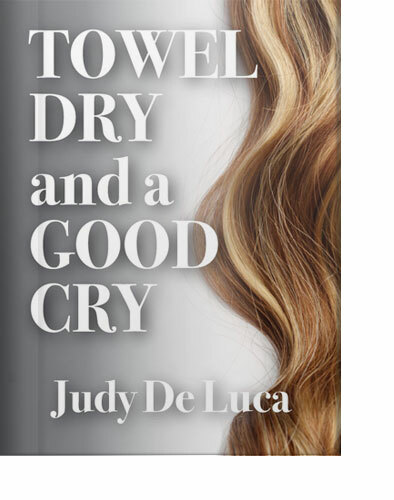 In the beginning of my kindle book, Towel Dry and a Good Cry, Josie Capelli describes her hair as looking like Farrah Fawcett’s. Farrah’s cut, of the late seventies, was the onset of the big-hairstyle craze of the eighties and women bought a variety of curling irons and hot rollers to create her look. Curling your whole head was a lot of work and woman wanted more staying power, perms were the answer. The idea of the perm was to give more staying power, more volume and more hair to tease out. It was like the bigger the better hairstyle contest. 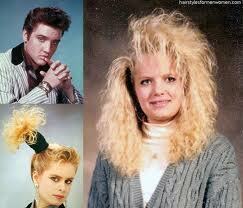 Some wore their perms blown out and finished off with the curling iron. Others wore their bangs teased up high and the perm was left curly on the sides and the back of the hair. Carving out sideburns was also popular. 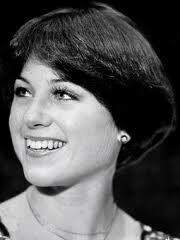 When the sides of the hairdo were pulled out and teased away from the face, the sideburns gave a little something near the ear which also added character when the hair was pulled back in a scrunchie or bow. 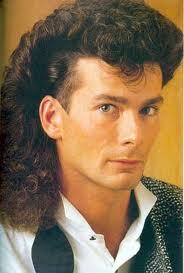 Men mostly sported their perms curly. 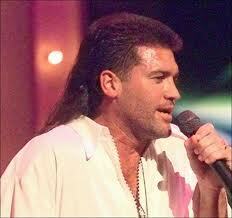 A girl’s best drug store friend for the hairstyles of the eighties became Rave and Aqua Net hairspray. When Josie goes to the New York Hair Show she learns the newest trend, the bi-level, aka mullet or as I like to call it the moo-lay. 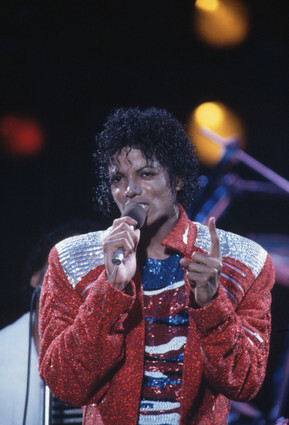 The bi-level was cut short to severe on the sides and the back of the hair was worn longer. This style either was worn blown out and curled with the curling iron or just the front was blown out and the perm in the back dried curly. If you wore a short hairstyle in the eighties, the back of it usually had a diamond shape to it so that part could be worn big, also. The hairstyles of the eighties gave way to many new hair trends including the Jerri Curl and hair accessories, such as, scrunchies, bows and the banana clip. In my opinion, the best mullet was worn by Billie Rae Cyrus because he wore his way after the trend was over and was notorious for it. This entry was posted in Blog, Hair Trends, Hair/Beauty, Hairstyles of the 80's, The 80's, Towel Dry and a Good Cry and tagged 80's hair, Chick lit about Catholic humor, chick lit about Italian families, fiction about hairdressers, fiction about Italian families, fiction that takes place in the 80's, hairstyles of the 80's, images of 80's hair, The 80's by judydeluca. Bookmark the permalink.